Want to make the best choice in international movers for Moving from California to Puerto Rico? Using Intlmovers is one of the fastest and easiest ways to find the right moving company to help you with your international relocation. They can not only provide you with the latest information and customized pricing, but they can give you advice and recommendations about other relocation services that can help you. 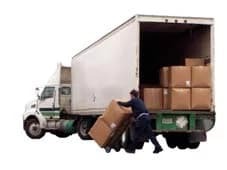 Finding the right moving company is simply a case of selecting where you are moving from and to using the drop down menu, completing the short request form with a few of your moving details, and that is it! Your request is forwarded immediately to up to six international moving companies who are specialists in international moves from California to Puerto Rico. The moving companies will respond to you directly, so there is no messing around, you get your answers fast and personalized. When you are making an international move, it can sometimes feel a little scary or overwhelming. With a little bit of preparation and thought, and with the help of the right moving company to help you, you can avoid a lot of the drama and just get on with the task at hand. Take the time beforehand to do a little research and feel confident with your choice of moving company! Comparing quotes with Intlmovers can make it a much easier process and lets you get on with other things for your relocation. Puerto Rico is a made up of a number of islands which include the main island of Puerto Rico. And other major islands of Vieques, Culebra and Mona. Located in the Caribbean, it is around 1,000 miles off the coast of Florida. Puerto Rico covers an area of around 3500 square miles. The official languages are Spanish and English. It is a US territory and the currency is the US dollar. As a US territory, US citizens who arrive in Puerto Rico don’t require a visa for arriving in the country. They need a legitimate form of identification. When you are arriving on a US domestic flight from the mainland, you don’t even need to go through customs when you arrive. However, it’s important to ensure that you have your passport with you as you will need this for re-entry in to the USA. Whilst Puerto Rico is a US territory, it’s not subjected to the same rules as other US states for internal travel. Puerto Rico is said to have one of the most dynamic economies in the Caribbean. Whilst originally founded on sugar plantations in the early 1900’s, the major industries are pharmaceuticals, electronics, textiles, petrochemicals, processed foods and clothing. Tourism is also an extremely important industry for Puerto Rico. It’s a popular cruise ship stop for many shipping lines, as well as having increased frequencies of direct flights. Not only domestic USA flights, but from all over the world. The North American Free Trade Agreement (NAFTA), which is between the USA, Canada, Mexico and Puerto Rico, offers advantages with job competition and investment. The cost of living in Puerto Rico is considered considerably cheaper than living in the States. With California generally being considered one of the more expensive US states, there is a considerable difference to consider in cost of living. As with most major cities, San Juan is more expensive than the rest of Puerto Rico. Jobs are more difficult to find. Car insurance, education and health care is generally much cheaper in Puerto Rico. If you own a property, there are no property taxes. If you are working in Puerto Rico, there are no federal taxes although you do pay local taxes and sales tax. Intlmovers has partnered in helping people find the right international moving company quote since 2003. Intlmovers sends thousands of international moving quotes per day for people that are moving from anywhere in the USA to anywhere in the world! The last time we moved we had less items but as we now have two small children we have a lot of extra children’s items also. A family home of four with the usual such as beds, sofas, dining table and a number of extra boxes for the kids toys. The way of life is so very different, but so very much the same. Accept that things don’t happen the same way that you are used to and it will really help you avoid a lot of unnecessary stress. We found a great moving company that also offered other relocation services also. They offered us some practical advice for our move as well as helping get settled in. They use your surname and your mother’s maiden name in Puerto Rico (‘’Apellido Paterno” and “Appellido Materno’’). When they ask for it, it is used for everything. If you are planning on taking your car to Puerto Rico, then you should know that it should be sent empty and with less than a quarter of a tank of gas. They should give you this information up front but I had been planning to ship a bunch of stuff in the trunk and that just didn’t happen. I started doing a Spanish course to brush up my forgotten skills. Sure, most people speak or understand English but that is really not the point. The great advantage of using Intlmovers is that you can compare a number of quotes quickly and easily, without the usual hassle of hunting around all over town to find companies who can help you. The Intlmovers site does this automatically for you. Based on the information that you provide in your request. In addition to this being a completely cost free service, it’s also a completely obligation free service. That means that if you are not fully satisfied with the quotes that you receive back, you are under no obligation to accept any of them.